Has China’s sharing economy finally jumped the shark? Bikes, bikes, and more bikes. China’s streets have been invaded by bike rentals of every hue. More and more Chinese entrepreneurs are sparing no effort to jump on the sharing bandwagon. However, it’s not really sharing… it’s more or less rental businesses. Users rent these items for a short period of time at a low and affordable price. For instance, the bike-rental startup Mobike charges users RMB 1 for a single half-hour ride. Also, most of the power bank rental startups charge nothing for the first hour of rental, and charge RMB 1 per hour or so after that. This is nothing like the ride-hailing business where people use their private car to ferry around passengers; these are companies exchanging use of their assets for money. Shared refrigerators are actually not so much different from vending machines. These fridges are mostly placed in office buildings. Customers scan the QR code on the top of the refrigerator to pay for the items they want and open the door to get the food. The problem is that there’s no lock installed on the fridge, meaning that anyone can easily get the food without paying. A “fridge-sharing” company Xianmiao told local press that the fridges are now in testing phase and they plan to install electronic locks (in Chinese) in the near future. There is another type of shared fridge that does some public good by encouraging local residents and enterprises to donate and share spare food to help those in need. People don’t share the fridge itself but the food in it. Simply by inserting a card linked to the fridge and key in the numbers associated with the items, users are able to get access to the food. 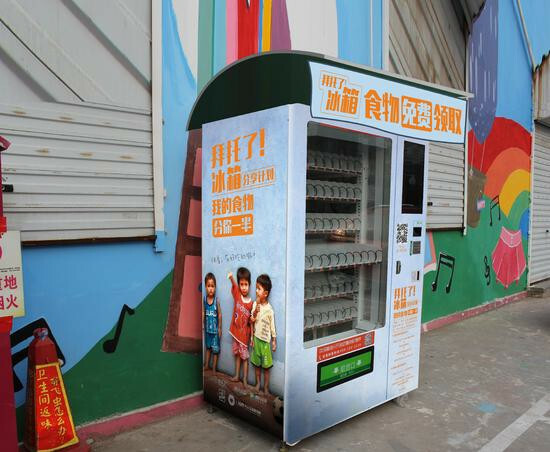 These fridges were set up in Beijing’s outskirt areas by community-based non-profit organizations that give out cards for people in need (in Chinese), most of whom are migrant workers. Popular in Japan for quite some time, China is now seeing a similar solution for sleep-deprived office workers to take a nap during the mid-day rush. Xiangshui Space (享睡空间), a Beijing-based start-up in May launched nap capsule services in Beijing and has opened up in Shanghai and Chengdu as well. 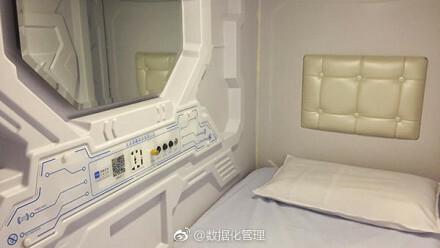 With a mobile phone scan, users can book a nap in a white capsule for just RMB 10 ($1.50) for half an hour. However, the space is now temporarily closed for renovation to abide by local regulations (in Chinese) such as fire-control permissions. 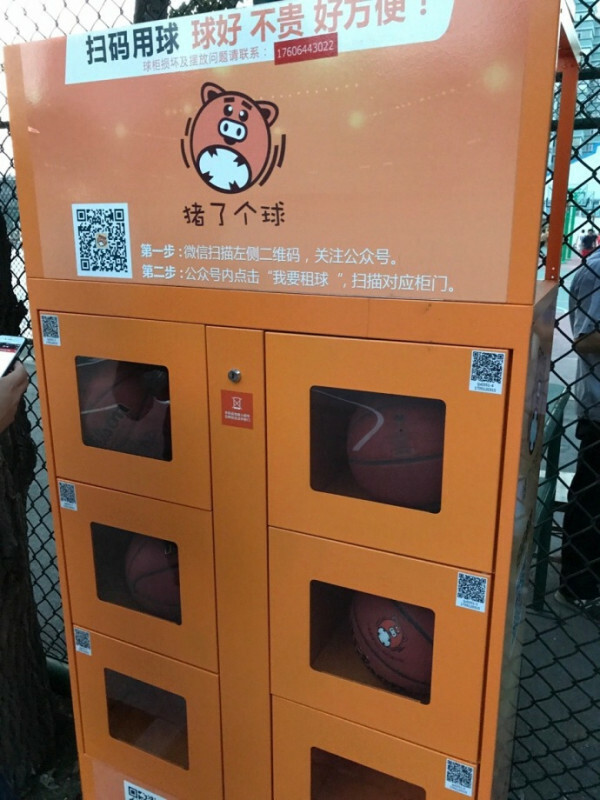 Founded in March 2017, the basketball rental startup Zhulegeqiu (猪了个球，literally “pig a ball”. “Zhu” sounds like “zu”, the word for rent) offers sports lovers another way to gear up and spare some hassle. The company places rental machines beside basketball courts and landed RMB 10 million in pre-Series A in May. Competition in this vertical has gotten fierce. Earlier this year, the power bank rental startup Laidian received $20 million in Series A from SIG and Redpoint Ventures China. The startup rents out portable power banks that allow users to take away and return at designated stations through the rental service’s app. Another power bank rental startup, Ankerbox, in April raised eight-digit RMB in Series A funding, and later in May, Jumei acquired a 60% stake for RMB 300 million. It may seem absurd that people would actually rent a power bank. It’s not really a hassle to carry around your own power banks. But Chinese investors are not afraid to bet big in the sector. The investors in China have poured in RMB 1.2 billion ($174 million) worth of funds into power bank rental startups within 40 days, local media reported (in Chinese). The expanding rental economy in China is exemplified by the success of bike-rental companies such as Mobike and ofo. Mobike just raised over $600 million in Series E financing led by Tencent last month, and in the same month launched its first business outside of Asia in Manchester, U.K.
As investors and founders of these rental enterprises seem optimistic about the future of the sector, they are also giving themselves an out, exemplified by Jumei CEO’s recent statement on Weibo: “If [the startup] fails, let’s just say we’re serving the public,” wrote Jumei’s CEO Chen Ou in a Weibo post. Chen became the chairman of Ankerbox, a power bank rental startup, after making a huge investment in the company. Yuan Bingsong, the founder of another power bank rental startup, Hidian, has also claimed that the business can still do good to society even if it fails. However, the funding frenzy powered by the angel investors and venture capital firms might still last for a long while. China’s rental economy is expected to grow about 40% this year to 4.83 trillion yuan ($705 billion). By 2020, it could account for about one tenth of the country’s gross domestic product. At the end of the day, these investors might be just looking at setting their feet in the Internet of Things (IoT) industry and hope to become the first-movers in having everything in the public space being connected.